Tiles or Studs: It looks like a toy robot! 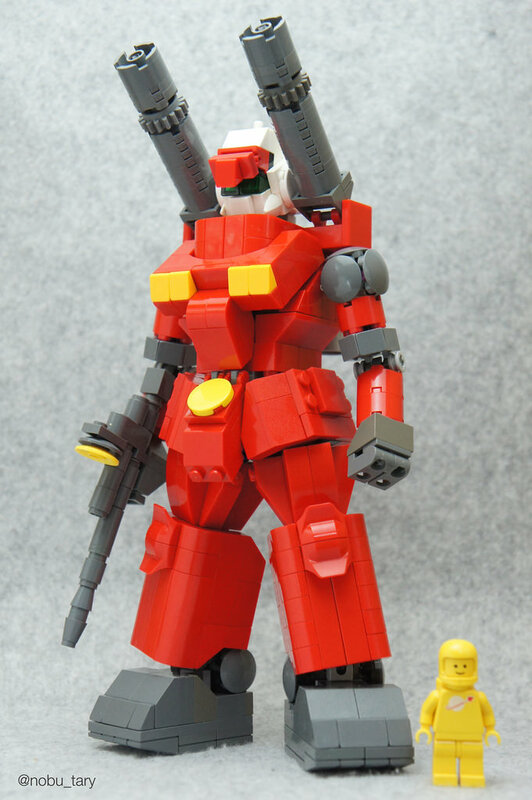 I know that this is made of LEGO bricks and LEGO is a toy of its own but this mech is so awesome and so clean looking that it looks like a plastic toy robot from my childhood. 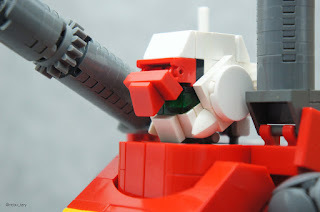 flickr.com user and LEGO fan nobu_tary shared this great MOC, namely Guncannon in his photo-stream. The red-dark gray color-scheme fits the MOC very well giving it a LEGO Space theme based look (although there were no red vehicles in the classic space line). I especially like the anatomical shape of the robot with big feet increasing the balance of it. The shaping of the head is outstanding on itself.